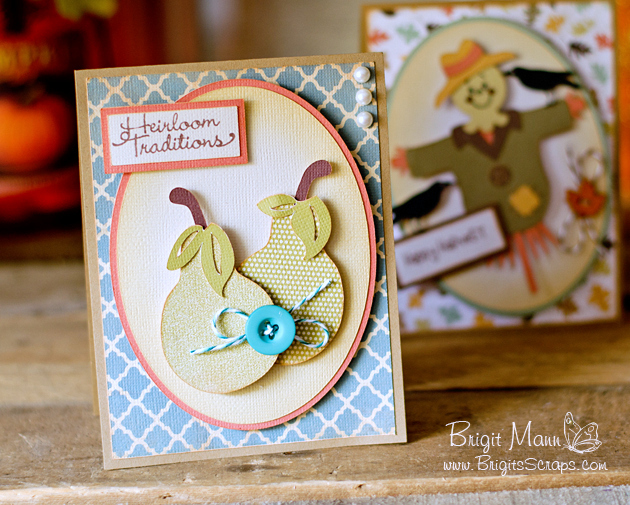 Here's a card I made for my last post as Guest Designer for Sparkly Sweet Craft Notions. This blue and white sheer textured May Arts ribbon from Beckie's shop is absolutely beautiful, I love it! 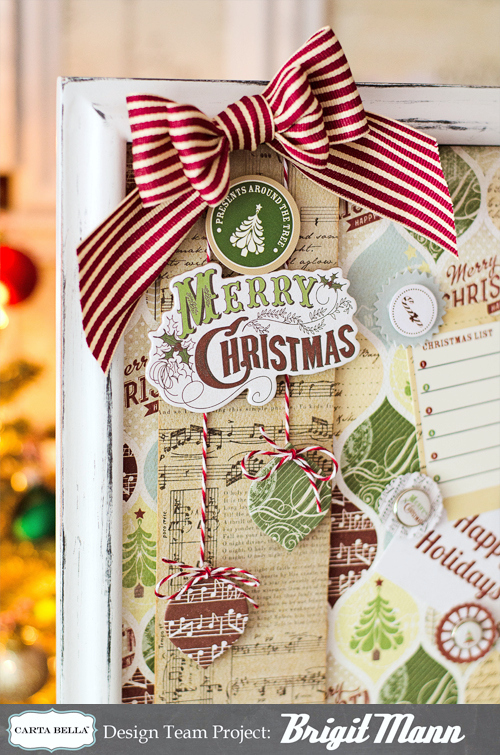 The pretty Trendy Twine is one of the new Christmas colors, Peppermint Icicle. 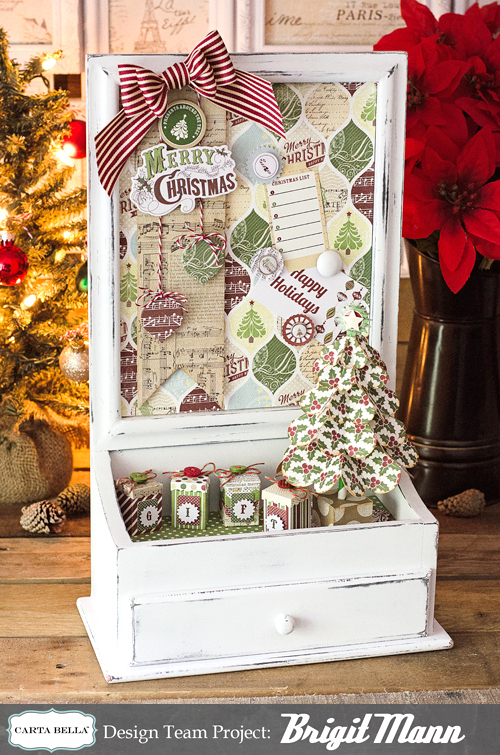 Stamp sentiment is from Jaded Blossom's Merry and Bright set and snowflake button is from Buttons Galore and More. 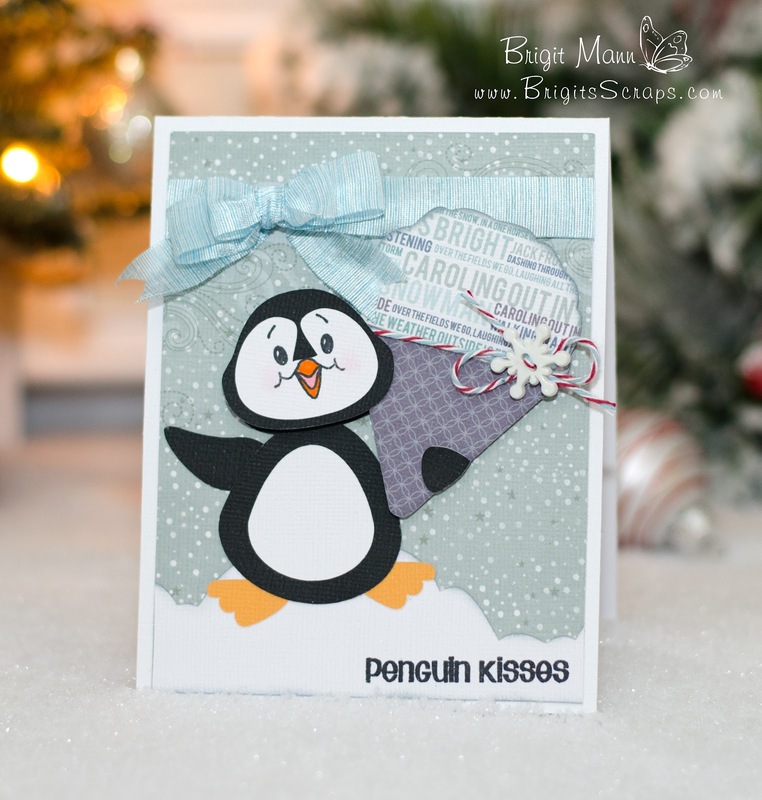 The penguin is from the Silhouette Online Store by Michelle Renee. 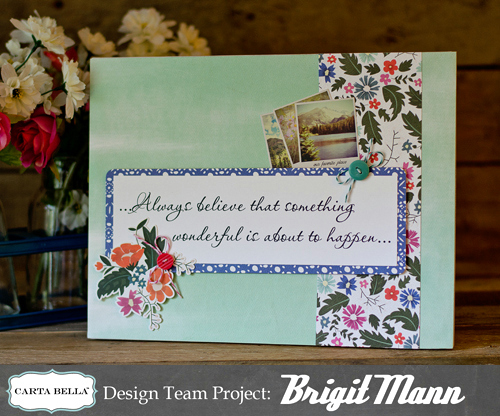 Here's my new Carta Bella Design Team project, a refinished magnetic board with drawer!! For my project I had to pick something from the Tis The Season Idea Book that inspired me. I chose Kandis Smith's Christmas frame, it's beautiful! 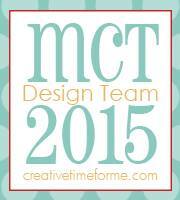 I really enjoyed making this project, I bought the piece on clearance from Burlington Coat Factory awhile ago. The wood was very dark and I really wanted it white so I primed and repainted it, first with black paint then white. I used So This Is Christmas Collection to decorate, I really love how it came out. After painting I distressed it with some sandpaper, you can see the black paint showing through. I cut up some old magnet business cards and glued them on some of the decorative brads from the collection. You can see they worked nicely to hold up the cards. 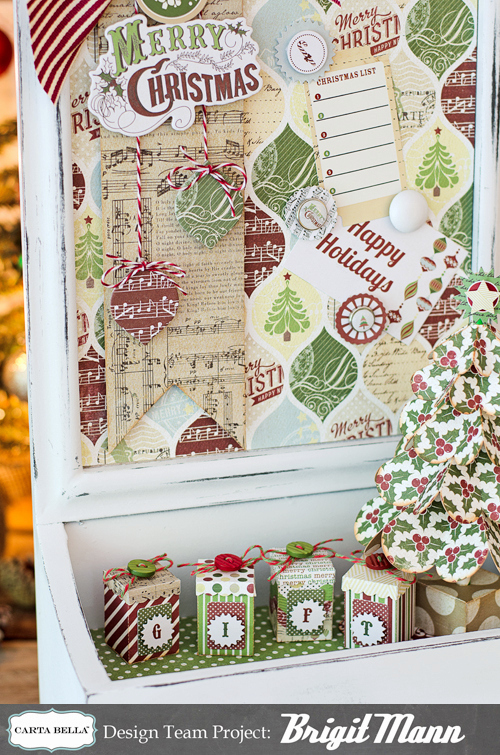 The Christmas tree and gift boxes are from Lori Whitlock's store, I love these little presents you can put a couple of small treats inside. 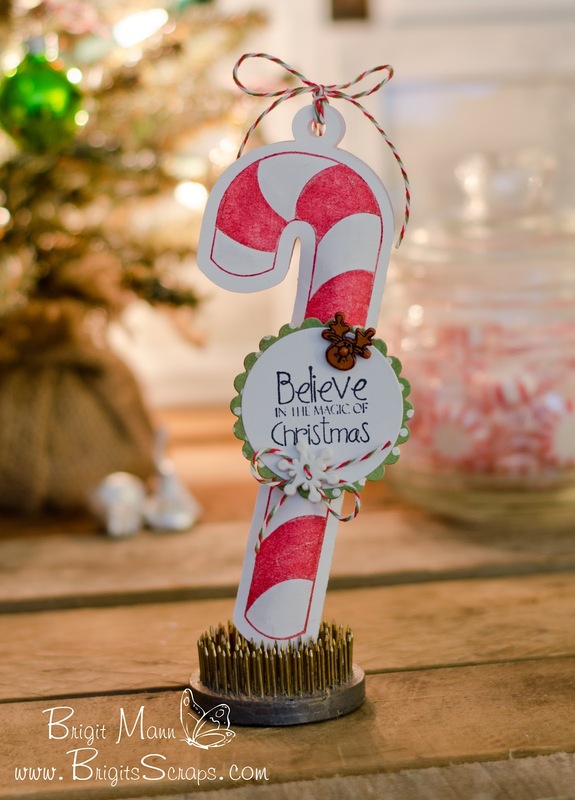 I used Peppermint Stick Trendy Twine for the chipboard ornaments and Holly Berry on the presents. I just love this whole collection, it's so beautiful. That gorgeous May Arts ribbon I bought from Sparkly Sweet Craft Notions shop. Hope you enjoyed this project, It's really a lot of fun to do over wooden pieces with pretty scrapbook paper. 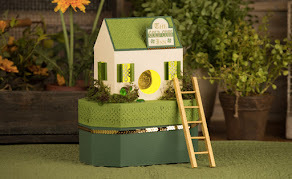 Here's a sneak peek, hope on over and check out the whole project! And don't forget to check out all the new Christmas colors!! Lesley Ann's mom a special tag for her Birthday! 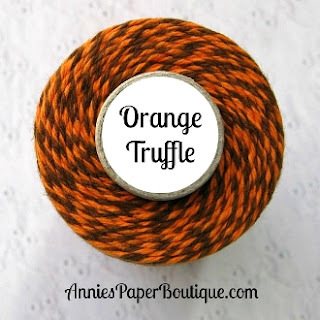 Here's my tag, I used some Cotton Candy and Chocolate Truffle Trendy Twine. The cupcakes are from SVGCuts and the digital paper is Echo Park. 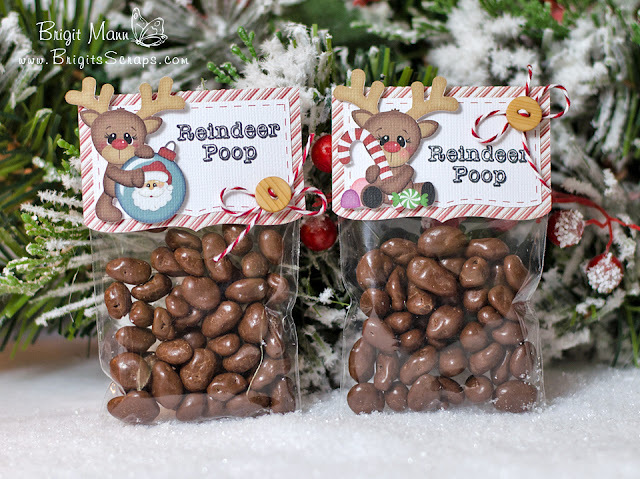 I'm lovin' these cute Christmas moose from Stinkin' Cute Paper Piercing. 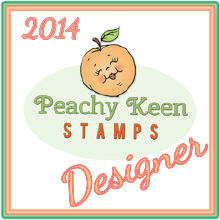 They go so well with the freebie stamp set I receive from Jaded Blossom with my order, I love them!! 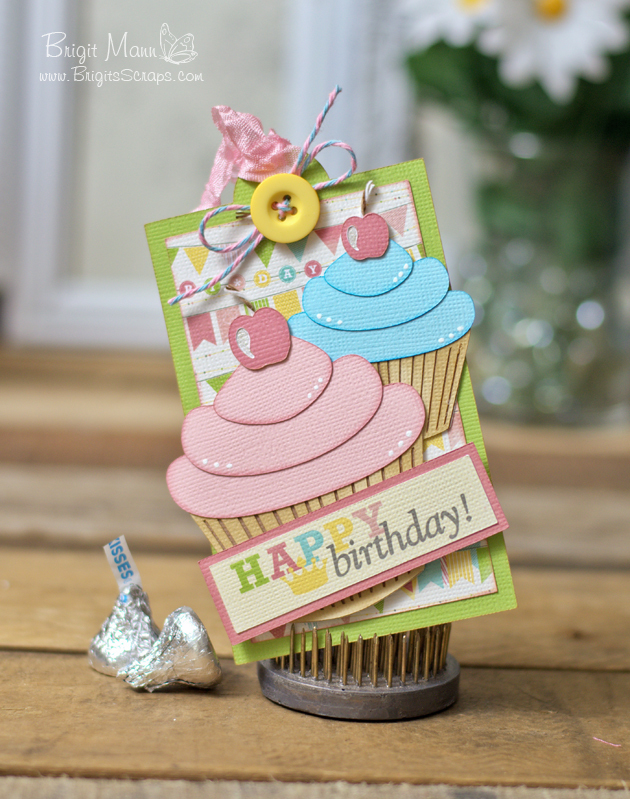 I'm guest designing for Sparkly Sweet Craft Notions today and I used their red chevron twill ribbon. Digital paper is Echo Park's Tis The Season. 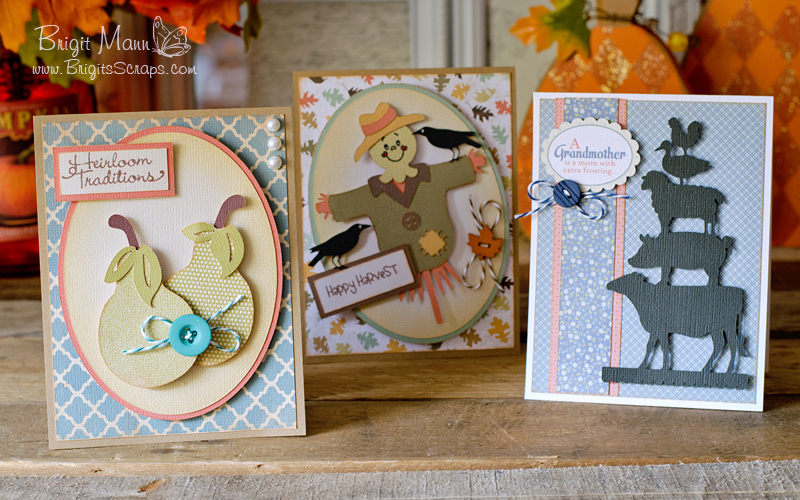 I received my Jaded Blossom stamps in the mail today and just had to use the freebie Moose Kisses, so cute. 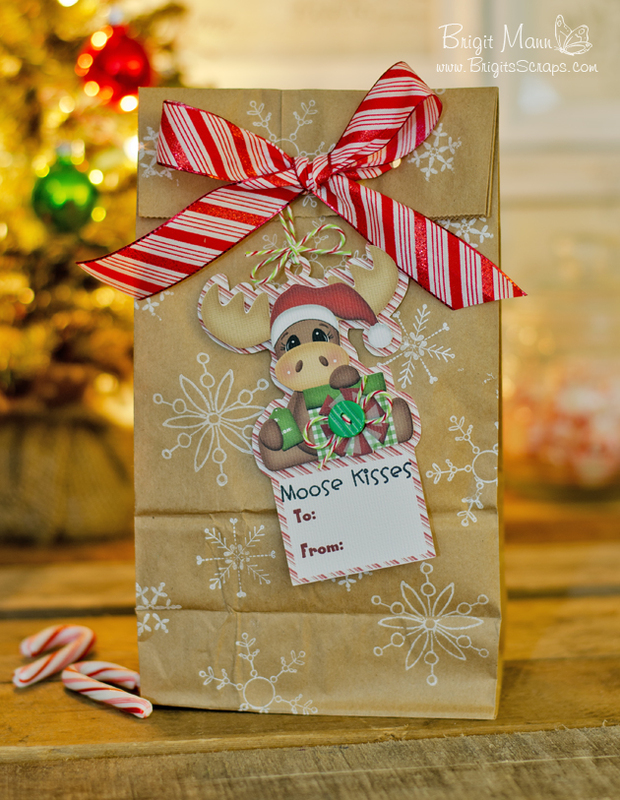 The Christmas pnc moose is from the Silhouette Online Store, it's one of Stinkin' Cute Paper Piercing. If you haven't seen Trendy Twine's new Christmas colors check them out, I used the Christmas Mint, twists of red, white and lime, so pretty! The bag is a regular size brown lunch bag, I just stamped some white snowflakes from Unity's Season of Joy set, simple, I love this look. 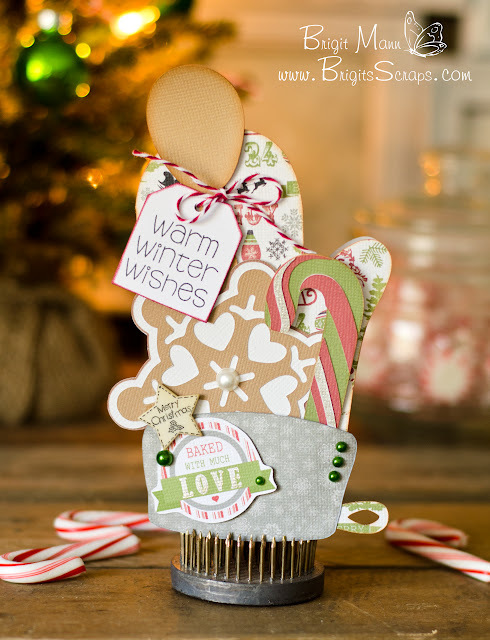 How cute is this Santa from SVGCuts kit Noth Pole Express, I love him I think he's my favorite cut file!! In this kit Mary has a pnc of him so I printed it out on some heat transfer paper, I used Avery Light transfer Paper and ironed it onto this muslin bag. I cut some fabric and added the pom pom for this hat and glued it on. I also took out the string that comes on the bag and replaced it with one of Trendy Twine's new Christmas colors Cherry Limeade. I tie the twine on the end of the string and when I pull the string out it pulls the twine around, so easy. So This Is Christmas Collection. 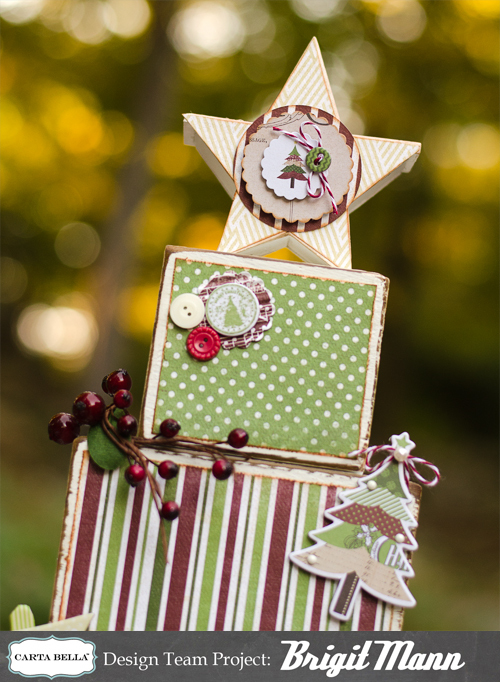 This was inspired by a Christmas tree I saw on pinterest from the made from 2 x 4. The website is Under My Umbrella, some awesome wooden projects. I used 4 x 4's in lengths of 12", 10", 8", 6", 4" and another 4" for the bottom truck. I'm going to place mine on the floor so I wanted the blocks wider then the 2 x 4's. It can be glued together with wood glue. I didn't glue mine, it stands over 2' so it's easier to put away and because of the chuckiness of the wood it doesn't move and stands very nicely. If you use a 2 x 4's I think it would have to be glued then. 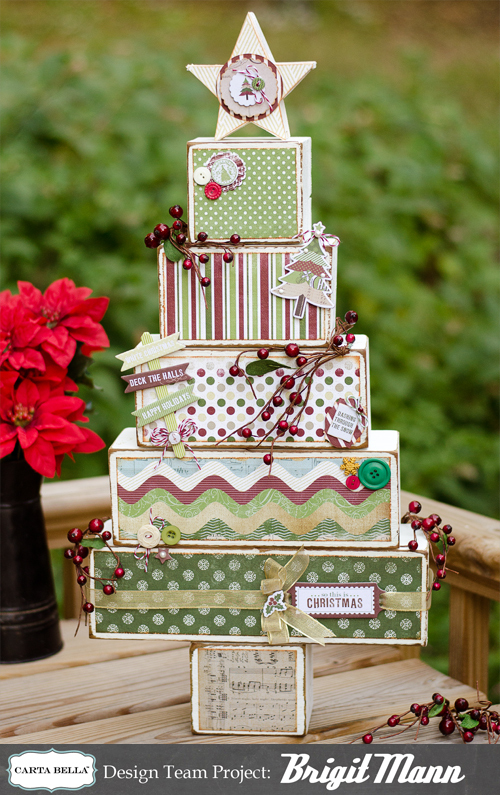 I love this Christmas collection, great colors, patterns and elements. 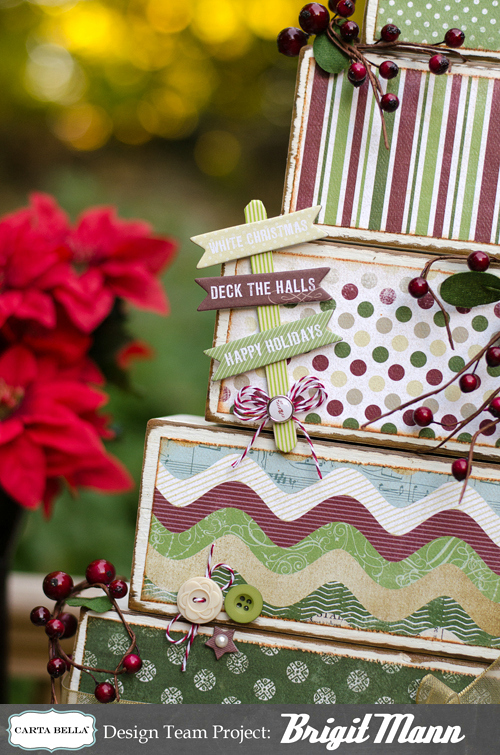 I kept it pretty simple, just adding some buttons, peppermint stick trendy twine and berries, along with some stickers and chipboard elements from the collection. I wrapped some pretty shimmery gold ribbon around the bottom tree block. The star I picked up at Michaels, it's actually a birdhouse, it fit perfectly on top. The hardest part of this project was picking which patterns from the collection I was going to use, when I had it on the floor either side looked great! 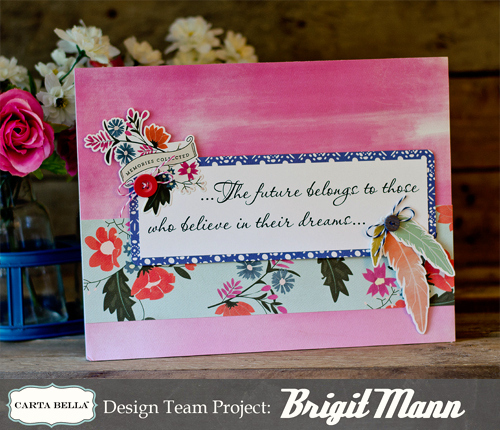 I have two inspirational wall art projects to share with you today using Carta Bella's Wildflower collection. 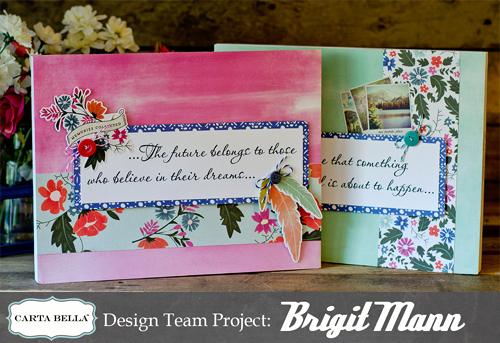 This is such a pretty paper collection, I really enjoyed working with it. It's fresh and hip but yet it brought me back in time, I just love it! The pink and green paper for the background of each canvas looks just like paint strokes. I kept it simple just adding the matted print n cut phrases and element stickers. The frames are actually 8 1/2" x 11" cardboard kid paint kits that I picked up at the dollar store. Perfect to cover with pretty pattern paper. I added a couple of different colors of Trendy Twine and some buttons. 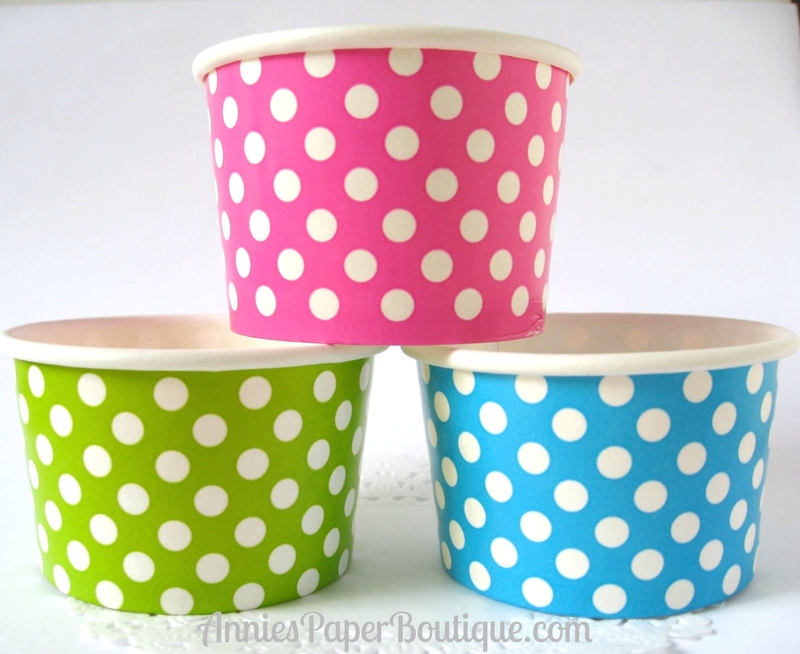 These are going in my craft room. 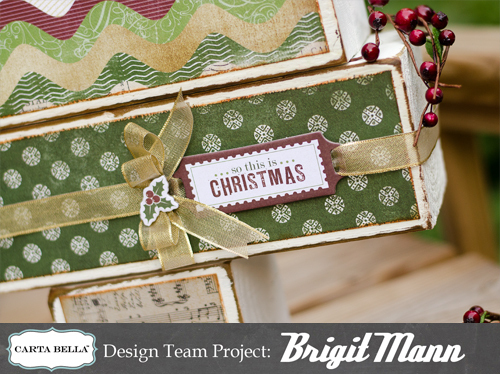 I have a tutorial over at Lori Whitlock's blog today on creating these cute quick and simple print n cut Christmas tags. Paper is Echo Park's Reflections Christmas and Trendy Twine is Peppermint Stick, there's some Holly Berry on the package. 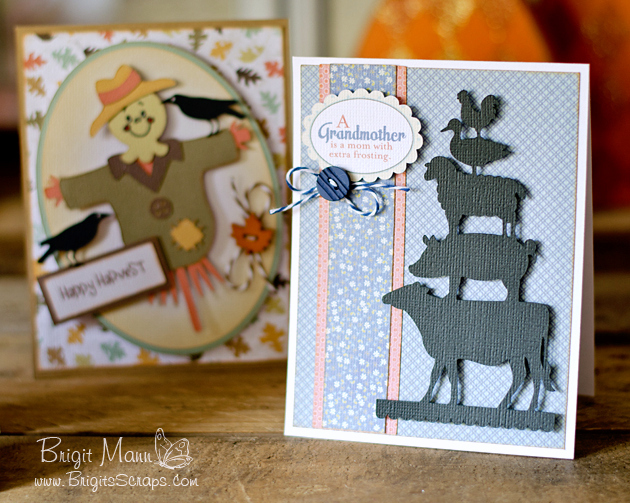 Here's a couple of simple cards using files from SVGCuts Harvest Hill Farm collection. These are very quick and easy cards to recreate and have on hand, directions and tips can be found on my SVGCuts design team page here. will be out soon, here's a look at what's inside, it's so amazing!! I picked up The Big Candy Cane stamp from Unity and made this candy cane holder for it. I thought it would look so cute on the tree or great for school treats or even work. 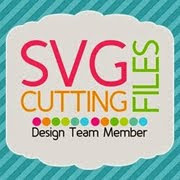 I have two files the studio which is what I created it in and an svg, I had to copy and fix it in mtc, but I cut it and it looks the same. 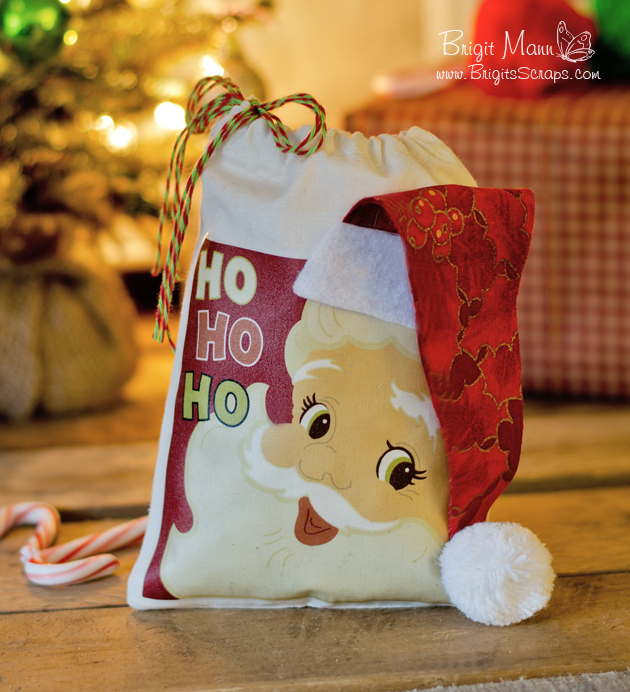 I have a medium size candy cane inside and it fits nicely, I also had a larger one but the top hook came out past the paper, so you'll have to test candy canes. The files are down below. The sentiment is also a Unity Stamp from the August 2012 KOTM. I used Trendy Twine's Candy Cane and the cute little buttons are from Buttons Galore and More. 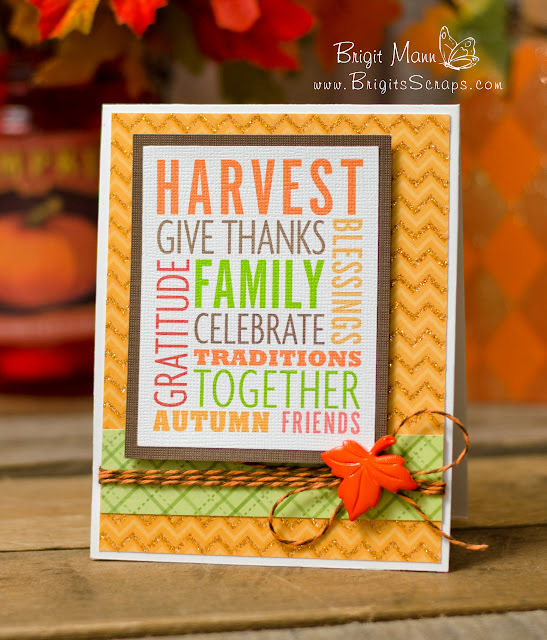 I'm the guest designer over at The Sparkly Sweet Craft Notions Blog today, here's my card using some pretty chevron ribbon from Beckie's shop, hop on over and check out all the wonderful goodies she has! Hi everyone, this month's Trendy Twine spotlight is on Thanksgiving Orange Truffle. 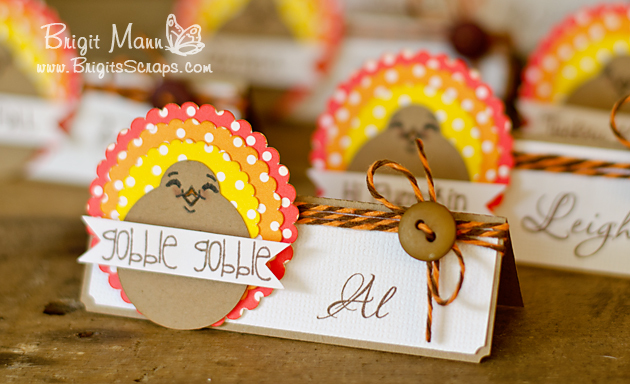 Love this color, I use it often on many of my fall projects like these cute turkey place cards I made up for Thanksgiving day. 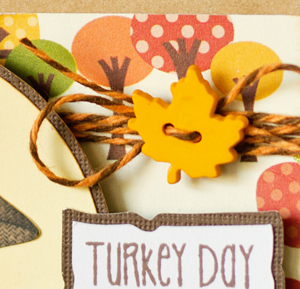 I chose this turkey from the silhouette store because it's cute but quick and easy to put together since I was doing a bunch. 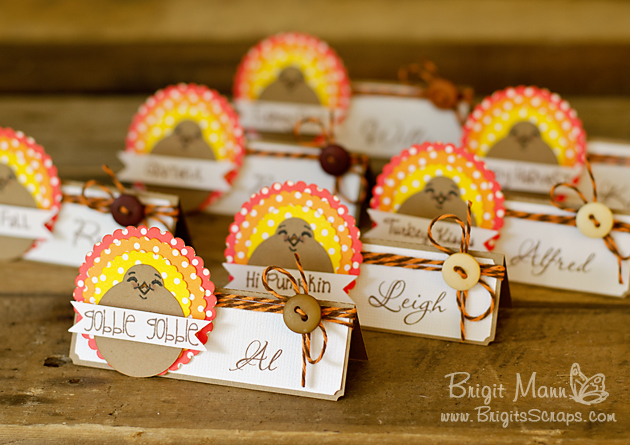 I also used Jaded Blossom's stamp set Let's Talk Turkey on each one, so cute. 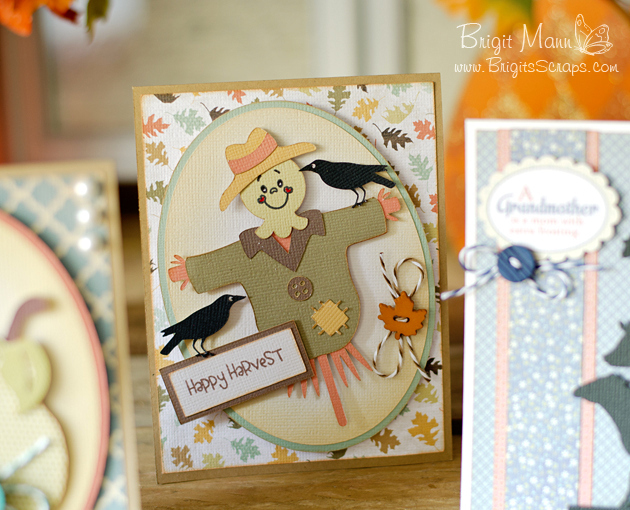 Here's a closer look, I just love how the twine looks.